Help Your Child Put Their Face In – Without Any Tears! 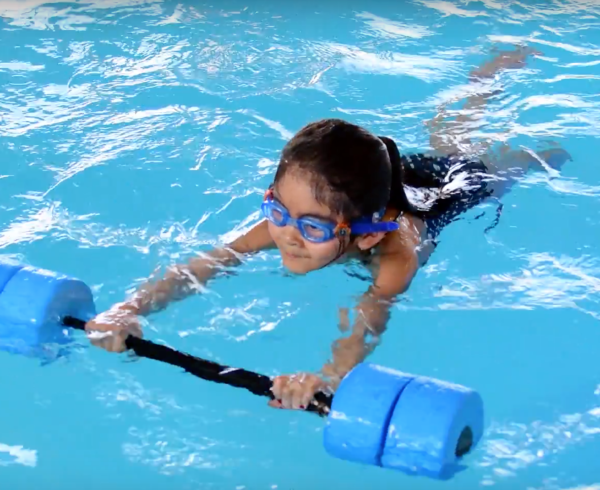 Home Kids Learn to Swim Help Your Child Put Their Face In – Without Any Tears! One of the most integral skills to becoming a happy and confident swimmer is getting that face in the water! With some kids, however, this can be an especially dramatic process. But fear not! We’re here to help you with some tips and tricks you can take to help ease your child into getting their face in! I once taught a little boy who was extremely nervous about going underwater. He would get in the pool and walk around a bit, but would never really enjoy his time in the water. After a few sessions, his dad confessed something to me. 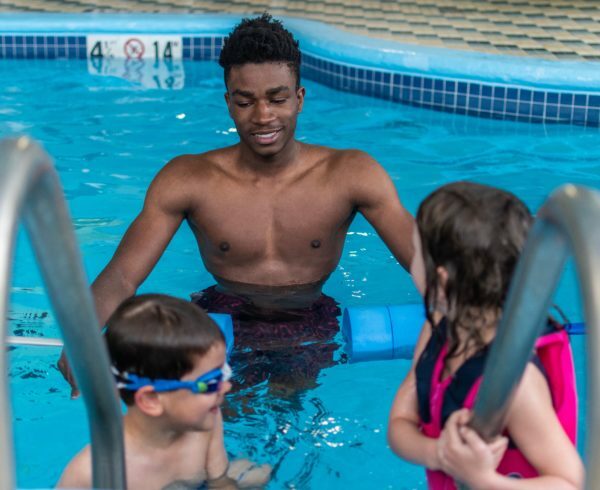 When his son was about a year old, he took him to a parent and tot swim class. The first time they ever played the dunking game (where you blow on your child’s face then quickly dunk them while their breath is held) the boy had coughed and cried with indignation. After that first lesson, his son had a melt down every time they pulled into the recreation complex’s parking lot, to the point where they eventually stopped going. Fast forward seven or eight years and the boy was still fearful about putting his face in the water and had never truly learned to swim. For some kids, a negative experience can create anxiety about putting their face underwater. Others might simply be sensitive or overly cautious. 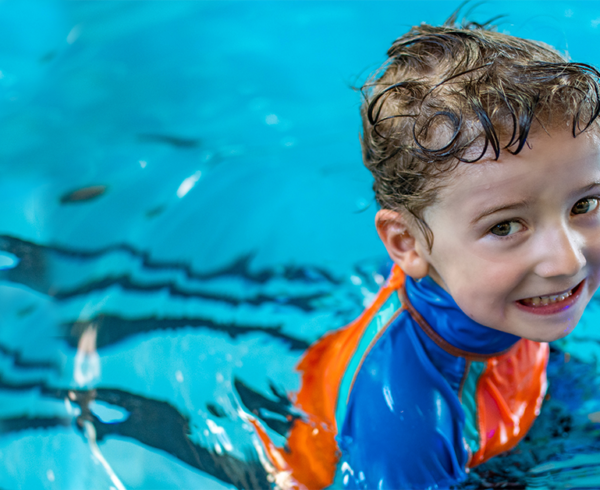 No matter the reason, there are some simple steps you can follow to help your child work their way up to getting that face in the water – with no tears! Comfortably putting your face in the water is a gateway skill. Without it, you can never truly achieve a horizontal body position, which we consider integral to becoming a strong swimmer. You can doggy paddle around all you want, but without submerging your face and head, you’ll never truly be able to achieve a flat, horizontal position in the water. This is where many students hit a roadblock. Never trick your child or force them to go underwater. The water is already an uncomfortable space for new swimmers, so anything that makes them feel a lack of control can leave a lasting impression. Modeling a new skill is a powerful way to teach. When you exaggerate your facial expressions it can help children understand what they need to do as well, show them each step. Goggles really help. Putting their face in can be scary for some, because of so many unfamiliar sensations. Why not ease some of that fear by enabling them to see what’s happening? A good time to start working on this skill is when your child can consciously hold air in their cheeks. Test them by holding your finger under their nose to see if air is escaping. Take a deep breath through your mouth. We inhale through our mouth because we have better control of the water using our mouth (due to all the swallowing we do) then we do our nose. Consciously create pressure behind the nose to keep water from getting into it. Puff out your cheeks to start. Submerge your face briefly. No need to go under too long at the beginning. Do remember that the water will add pressure, so keep on pushing. Come out of the water and exhale, either through your nose or mouth. Check out the video below to see all the steps above in action! Once your child is comfortable with the basics of this skill, you can start building their confidence with a few games. Playing with your child in the pool can help to distract them from any anxiety they might have around getting their faces into the water. Stephanie Rainey loves to talk about Learn-to-Swim stuff. She lives in Ottawa, Canada with her four kids, husband and Portuguese water dog, Eva. She loves astanga yoga, meditation and a cool pool on a hot day! The Aqua Life sets out to create everything I thought a classroom should be through a learning experience that nurtures trust, breakthroughs, and joy. 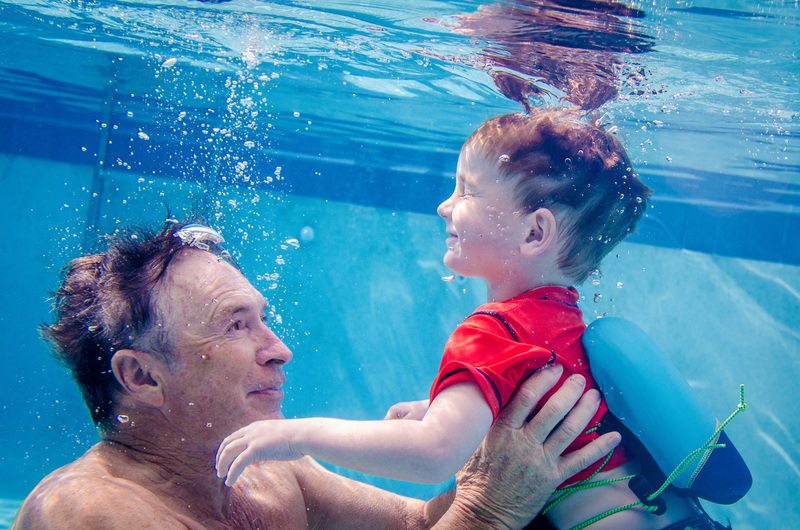 Sign up for our tips on learning to swim!